Once again, it's been a while since I wrote anything here. But I have been keeping up with the reading and keeping very busy with work and kids home on summer vacation. Due to some medical issues, we've been spending a lot of time at home this month, so there have been plenty of movies, board games and jigsaw puzzles going on in this house. It's actually been fun spending time as a family on these activities ~ and reading, of course. Since my last update, I've read two books. Now I am reading Summer House by Nancy Thayer, a nice, easy summer read. Once again, I haven't published anything recently, and while I mentioned that I was going to join the Sit Down and Write write-a-thon, clearly that didn't help motivate me to write! I did write one review recently, but won't be publishing it for another month to coincide with the book release. I do have a guest review coming up in the next day or two from my friend Kelly at Chubs Lived Here. 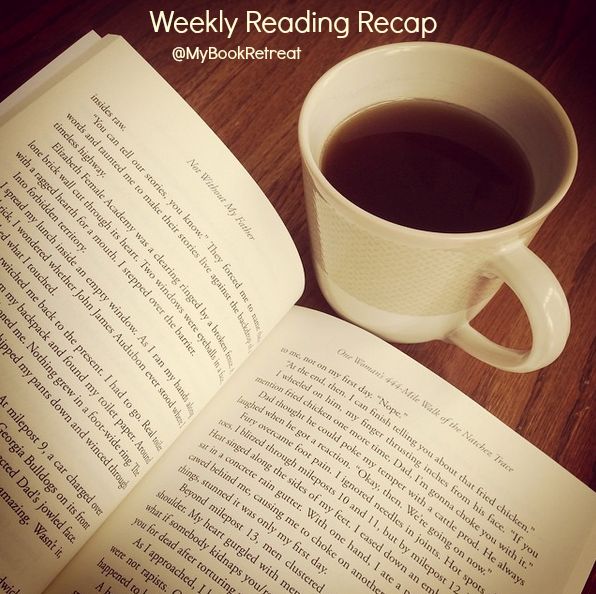 She reviewed War of the Roses: Bloodline by Conn Iggulden, so be sure to stop by and read her review on the weekend. M, who is a rising 4th grader, finished The BFG by Roald Dahl. She then received The Land of Stories: An Author's Journey by Chris Colfer the day it was released and immediately read right through it, as did her brother. Now she is reading Serafina and the Black Cloak by Robert Beatty. Carter, who is a rising 7th grader, got two books at a recent trip to Barnes and Noble and has already read both. 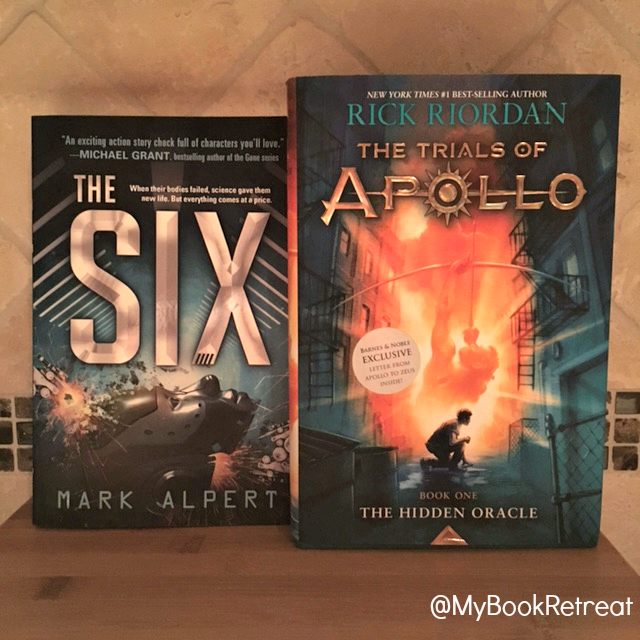 The first was The Trials of Apollo by Rick Riordan, and the second was The Six by Mark Alpert. He has already asked to read the second book in the Alpert series. I'm considering reading that one myself. I hope your medical issues weren't too serious but just required rest. What'd your son think of the Apollo book? How is your daughter liking Seraphina? I loved the book; it reminded me of Neil Gaiman's The Graveyard Book. My then 8 year old read that book after seeing it advertised in a Scholastic Book Fair video; I was so proud of her as it was her first big girl book that didn't have pictures. Being at home is the best kind if vacation! 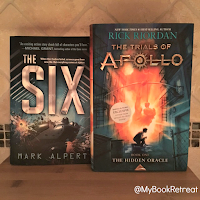 I finally got to read Trials of Apollo- always live Riordan. Have to snag Magnus Chase before the students return because it's never on the shelf long enough for me to take home. I haven't gotten to the Apollo book yet, but am looking forward to it. I've read and loved everything else from Riordan. Hope everyone is feeling much better in your house. Sounds like the whole family is reading some good books this summer! It's almost impossible for me to get any writing done when my sons are home - TV on, doors slamming, friends coming in and out...summer is definitely not a good time for writing for me!